"If indeed love is the magical trigger that sets off the explosion of life as the cosmos, it remains the mysterious imperative spurring our human endeavors, evidenced by the scruple of creative minds for perfectionism, and points to our ponderings concerning the meaningfulness of our lives, our strivings, our frustrations, our disappointments, our disenchantment, and perhaps our reenchantment. Moreover, it is the power of unconditional love that gives us the resolve to uphold a person's pride while acquiescing to their flaws and follies. The great paradox is by loving one's ideal of God espied in a person, one helps that person to honor his/her real self. Therefore it is love that makes God a reality." 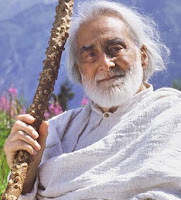 Pir Vilayat Inayat Khan remains as one of the most gifted sufi sage of our contemporary time. His soul departed from this plane of existence just 5 years back on 17th of this month, thus many students and lover of Vilayat Inayat Khan remembered him and commemorated the date as Urs (the death anniversary). Innanillahi wa inna ilaihi rajiun - Indeed we are from Allah and to Him is the return journey. Pir Vilayat Inayat Khan was the eldest son and successor of Hazrat Pir-o-Murshid Inayat Khan, founder of the Sufi Order in the West. He traced his spiritual lineage through a long line of Sufi pirs (masters), but his teaching was free from any religious bias or attempt to proselytize. His teaching brought the timeless contributions of the ancient Sufi mystics and poets together with the discoveries of psychology and science. He rejected absolutely any attempt to treat him as a 'guru', taking pride in the strong, independent and creative qualities of those drawn to be his students. Pir Vilayat was born in London in 1916, and spent most of his early years in England and France. He graduated from Paris University with a degree in psychology, studied philosophy at Oxford University and music at l´Ecole Normale de Musique de Paris. Pir Vilayat later traveled to the East where he underwent rigorous training in meditation, including long periods of seclusion devoted to spiritual exercises. 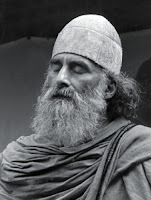 He also studied the esoterica of the major world religions and the meditation techniques associated with them. Dr. Jeffrey MISHLOVE: It's really a pleasure to be with you. You know, in your writings you often describe the struggle, the conflict that we humans engage in as we're caught in between our dual nature. We're locked into a finite body, each with our own life story and melodrama, and yet simultaneously we're like God; we partake of the entire cosmos. Vilayat Inayat KHAN: Yes. I call that reconciliation of irreconcilables. It's very difficult for our minds to accept this dual nature of identity, and I think we're cutting right into the main problem of psychology. I think most people have a bad self-image, or overcompensate, or don't know how to assess their value in any way. Because it's very difficult to accept what my father calls "the aristocracy of the soul, together with the democracy of the ego"; or he calls it "the greatest pride in one's divine inheritance, and humility about one's inadequacy in bringing it through, and yet still accepting the divinity of one's being" -- I think as Christ said, "Be perfect as your Father." MISHLOVE: Somehow, listening to you talk about this peculiar dilemma that we humans are in is making me feel that the whole thing is very humorous. KHAN: Yes, I think there's some point about laughing about things we don't understand. MISHLOVE: But it's almost ironic somehow, and maybe quite ridiculous, that as cosmic beings we're always finding ourselves in such dilemmas. KHAN: Yes. Well, the Sufis say, "Oh, man, if you only knew that you're free. It's your ignorance of your freedom that is your captivity." And I would add, if only you knew what the potentials in your being are, you would realize that it's your ignorance of those potentials that limit you to the inadequate sense of your self-image, or your inadequate self-esteem -- denigrating yourself. MISHLOVE: As I look through your writings, I get a sense that there's just vast almost infinitudes, when we talk about human potential and the levels of being. In a sense what you seem to do is look at the spiritual writings of every religion and tradition, and somehow assemble them all together so that it's as if we have choirs of angels and layers and layers of spiritual vibrations interpenetrating us, and that's who we are, rather than these tiny people living out their lives. KHAN: Well, you're interpreting my teaching better than I could do. You're saying it very beautifully indeed, and that is how I feel. I also include not just the religions but the teachings of, for example, C.J. Jung. .. MISHLOVE: It's almost as if anything wonderful about ourselves that we can imagine, that we are. KHAN: Yes. Well, there's a great power in creative imagination. Now of course there's a difference between creative imagination and fantasy, and I try to get as clear as possible about the difference. I think creative imagination is somehow monitoring the programming of the universe, and fantasizing is getting alienated from the overall order. And when I talk about an order, I don't mean a static one; I'm talking about the dynamic order. MISHLOVE: It's almost as if perhaps fantasy is only the first stage of creative imagination at best. 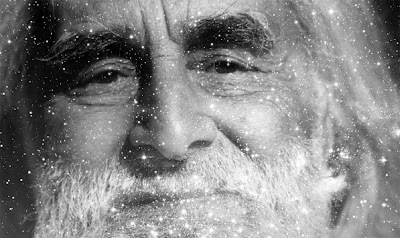 May God bless the soul of Vilayat Inayat Khan and be pleased with him.
. Translating Spirituality Into Real Life | An interview with the late Sufi master, Pir Vilayat Inayat Khan.